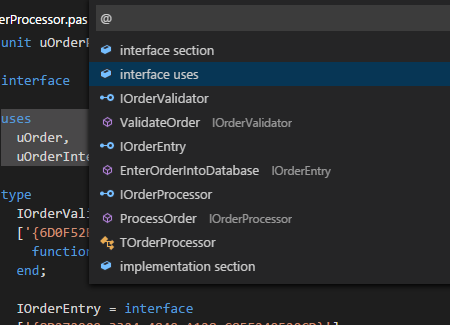 OmniPascal is a project that enables Delphi and Free Pascal developers to write and maintain code using the modern editor Visual Studio Code. Do you want to use a lightweight editor to write Object Pascal code? Get code completion, syntax highlighting and much more! Join the open preview! 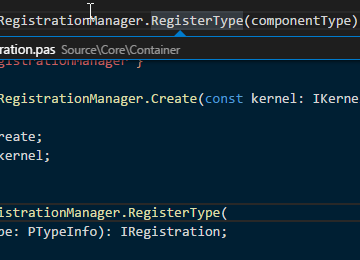 Visual Studio Code is a source code and text editor made by Microsoft. It supports a lot of different languages, themes and plugins. 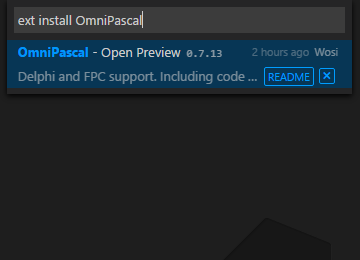 OmniPascal is currently in open preview. Help us creating the best way to edit Delphi and Free Pascal code the world has ever seen! Find the definition of a symbol. Hover it to get additional information. Press CTRL to see its declaration in a popup. 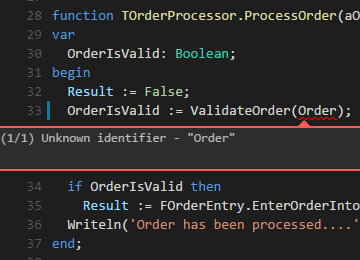 Peek the definition to get the code in an overlay window. Open it in the editor by performing CTRL+CLICK on it. Everybody knows it. Everybody loves it. Fast and reliable code completion is a must have to produce awesome code! See the parameters a method expects. See the different versions of it. What are the differences? 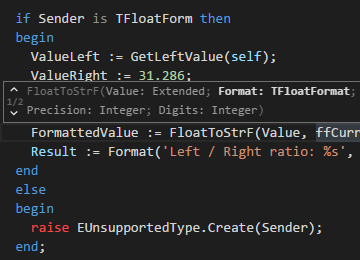 The editor supports you calling a method the right way! Go to any method, type or uses clause inside a file by pressing CTRL+SHIFT+O. Don't waste your time scrolling through the file. 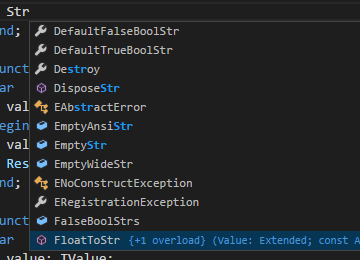 Connect Visual Studio Code with MSBUILD or DCC32 and see errors and warnings directly inside the editor. Learn how to create a build task and a problem matcher here! Install Visual Studio Code and open it. Search for OmniPascal and install it. Add the key "objectpascal.delphiInstallationPath" to the right editor and set its value to the Delphi installation path. Don't forget to escape the backslashes! Perform a right click on the root folder of a Delphi project and select Open with Code to enjoy OmniPascal.